Happy Bastille Day, tout le monde! It is one of my top two favorite holidays along with Canada Day. One of my most treasured Bastille Day celebrations ever was when someone planned a particularly romantic froggy date complete with having a crown of flowers made for me to wear – in red, white and blue of course. It’s France’s colors too, you know! We dined at the now sadly defunct restaurant Provence and although I don’t remember for sure, we probably drank a super swanky bottle of Margaux. One of the many things I love about July 14th is that this date ensures that I spend at least one day thinking about the Marquis de Sade. I went through an obsessive period where I read every piece of his writings as well as a couple of biographies. Needless to say, he fascinates me. Now laymen of the Marquis de Sade may be wondering right about now why I’m bringing him up on this day. 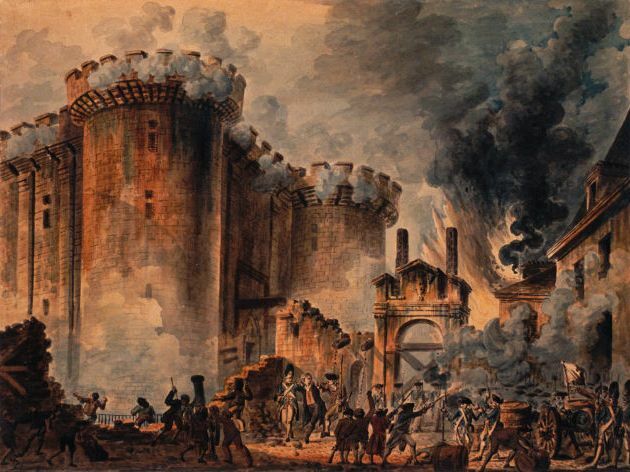 The Marquis was imprisoned in the Bastille and it is theorized by many that his incendiary shouts (“They are killing the prisoners here!”) had a direct effect on the storming of the Bastille 12 days later. There doesn’t seem to be much debate that those words were actually spoken. Well, in French, not English, but uttered nonetheless. Bastille Day and the Marquis de Sade are thoroughly intertwined in my mind and given this, I have the perfect song for today. “He Hit Me and It Felt Like a Kiss” by The Crystals is one of the sickest and most lovely of Phil Spector’s Wall of Sound outputs. Now I’ve always loved this song for its sheer sonic force and the fact that it was the audio equivalent of a car crash. I want to resist, but I am unable. And this song is all I thought of during Phil’s murder trial. Now don’t start thinking I’m advocating abusive relationships, but the balance between pleasure and pain in any aspect of life is a pretty fascinating thing to think about. Theoretically speaking of course. Anyway, I’m going to pour a little champagne now and toast to the Marquis de Sade, Phil Spector and The Crystals. I encourage you to do the same.